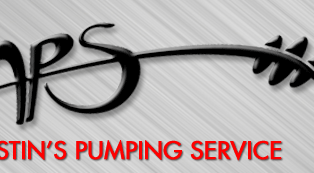 We are a family owned and operated service company located in Strafford Missouri servicing the Springfield and surrounding areas including Ozark, Nixa, Republic, Battlefield, Ash Grove, Marshfield, Sparta, Fair Grove, Highlandville, Rogersville, Willard and beyond. 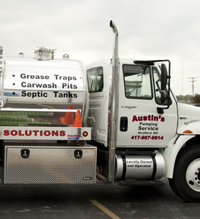 Austin's Pumping Service specializes in Restaurant grease traps and residential septic tanks, offering affordable professional solutions for pumping, repairs, odor control, plumbing and drain cleaning. 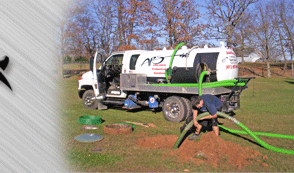 Providing Quality Residential and Commercial Pumping Services to the Ozarks! 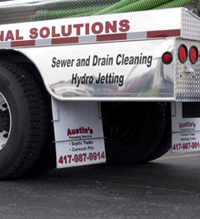 To insure we are providing the highest level of service, Austin's is equipped with technology, education and the equipment to diagnose and repair both commercial and residential systems. 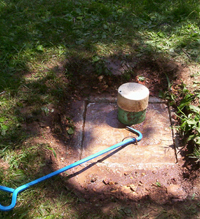 Our technicians receive ongoing industry training and certifications. 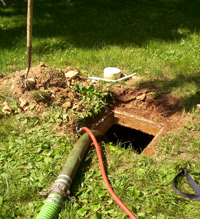 We are committed to creating and maintaining customer relationships by providing Affordable Professional Solutions along with Proven Products and most of all Superior Customer Service.